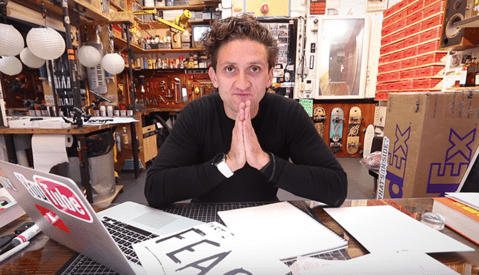 Video of did casey neistat change your life? Life is funny sometimes: we may think that we have concrete plans of where we want to be or think we know exactly how it's going to happen, but one thing or person might cross your path and ultimately change your life. In the case of upcoming YouTuber, Alex Gassaway, she graduated in 2014 and her plan was to pursue a career as a producer in Hollywood. The only catch was that she was living in St.Luis at the time, and was hopping on every opportunity she could to work in the film industry in hopes of getting the lucky chance to move out to Los Angeles. She was deep into her set path, until one day her friend asks her a mundane out of the blue question: Have you heard of Casey Neistat? That question ended up changing the course of her entire life. When it comes to the YouTube space and the world of daily vlogging, the person who single handedly changed the game was Casey Neistat. His raw energy and excitement came through in each video he produced, and he was able to show us (the audience) New York City through his own lens. A few months ago, Nesitat hosted an event called "368 Creators Offline" where he invited rising YouTube personalities to his creative hub in the heart of New York City called 368. The event was put together in an effort to bring together the community of online content creators and allow them to connect in real life. In this thought provoking and personal, video, Gassaway reflects on her journey to pursue her dreams and plays homage to Neistats' impact on her. 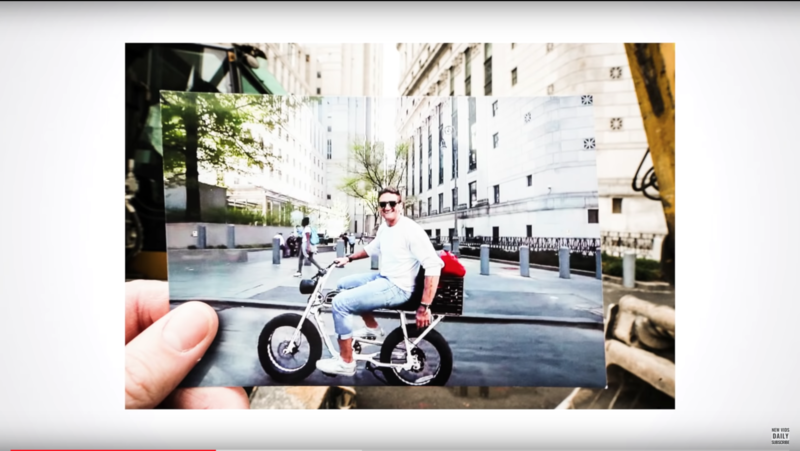 In the video, she roams the streets of New York City, and recreates pictures that show her standing in front of the most recognizable places that she had seen in Casey's vlogs. After watching this video, it made me realize that Neistat had also changed my life. After first seeing my first Casey Neistat video five years ago, he has inspired me to believe in my visions and to tell my own story no matter how small or insignificant it may seem. He broke down the conventional notions of film making and revolutionized how we see film making. Film making and photography are more accessible then ever these days, so there is no excuse to not making your vision a reality. This outlook on film making has gotten me out into the world, and inspired me to create something new everyday. How has Casey Neistat change your life? Let us know your thoughts in the comments! If you're an artist of any kind, I recommend you check him out! Your point being? The fact is he is probably the most well known vlogger of all time. Stating that you haven’t heard of him tells me more about you than it does about him. Wish I had never heard of this guy. Well, indirectly I am answering the question if that individual changed my life. Nope. Make your own life, build your own network, travel and make your own adventures. Living through other people is only good in times of dormant, but idealizing these kind of people I feel is an adiction. You make a good point, but I think its safe to say that he has inspired many people to go and accomplish their dreams so we should acknowledge that. He was inspired by him. It doesn’t mean that Casey Neistat is his religion. Birth of my son changed my life, I _highly_ doubt that any YouTuber (or blogger, "IG-influencer", whatever) will change my life. Just saying and sharing my perspective on life changing moments. I see your point, but I would say Peter McKinnon changed my life, or at least was the spark that started the change. I wasn't into photography, but I am a hobbyist magician, which is where McKinnon started. I followed his channel way back in the day because he used to do photography for a company Ellusionist. I wanted to work for them, and saw what Pete was doing. It caused me to buy my first camera, a Canon t6, and start shooting playing cards. From that I quickly realized my passion for photography, and it became my career. I wouldn't say, if it wasn't for Pete, but there's no denying he directly impacted my life and sparked what is now my passion in life. Exactly my point. These influencers might not have completely changed our lives, but have definitely contributed to the path that we set. I think of them as a stepping stone to going out and bringing our visions to life. If he can do it, so can we. I like your grasp of reality. I share your outlook. Blogvlogger dude changing my life would be rather sad indeed. Why is being inspired by someone, regardless of medium, sad? Some are inspired by Ansel Adams, by Martin Luther King, some by Peter McKinnon or Matti Haapoja. If someone inspires you to do better and become a greater version of yourself, who are you to call that sad? What does that say about your "grasp of reality"? And who are you to tell me not to think what I think? Doesn't make you right, or me right. A personal opinion is that. Neither wrong nor right, personal. An d my grasp of reality is fine for me. Thanks. There are many levels on which things can change your life. Not even a little bit. I've maybe....maybe...seen 10min of his work. Not a fan. Would you care to elaborate? What about the work is not appealing to you? I think we could all learn from a valid critique and make this a productive thread. His energy doesn't feel genuine to me. It feels forced, thus I'm almost immediately turned off by his content. I knew McKinnon before he became what he is, so I knew his energy was genuine. His passion was genuine. Every time I've seen Neistat outside of his own channel, there's almost none of the same persona, which tells me it's very disingenuous. Now, I understand that I've only had a very small sampling of Neistat, but since this is my opinion, I'm just explaining why he's had zero influence on me, and why I'm not a fan. So you’re not a fan but your rating comes from only ten minutes viewing? Do you think those ten minutes were enough for you to survey his work properly? Yup, because that's how you get viewers. There's far too much content on YouTube for someone to sit through a few videos in the hopes that eventually the person grows on them. You either grab people immediately, or they're gone. In my case, I felt he was fake, and I never gave him another thought. That's the business he is in, hell, its the business damn near everyone is in. You either get your audiences attention, and keep it, or lose it most likely forever. I watched about the same amount of his content and I couldn't get into it, either. I'm not going to force myself to watch someone I find irritating just because he's internet famous. Diff'rent Strokes, and all. It doesnt matter how many times I block his account, he still shows up in my feed. Hate his stuff. You guys must be looking for clicks. What a waste of time this guy so outdated come on get some good articles on your site. his video titled "do what you can't" is still very inspiring. Agreed! I think his attitude and outlook towards life and film making is very relatable and the themes he explores are universal. If he started from nothing and forged his way to fame through hard work and determination, I think that is something we can all learn from wether we like his film making style or not. He was interesting but then he got boring and political.